Barkbusters Motorcycle Hand Guards are versatile full-wrap hand-guards that blend tough obstacle protection & weather coverage. 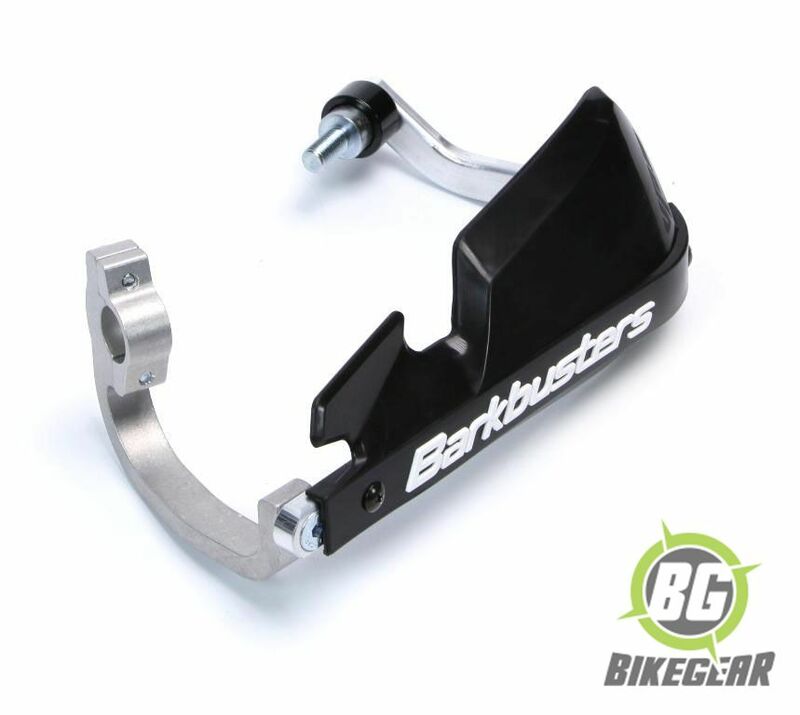 Barkbusters are model specific custom hand guards specifically for the BMW F750/850GS/ R1200GS LC/ GSA/ R 1250 GS & S1000XR. 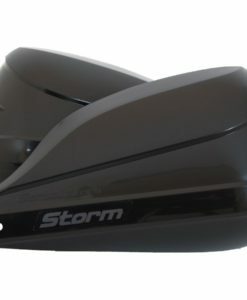 Hardened aluminium, full-wrap backbones with two-point mounting hardware. 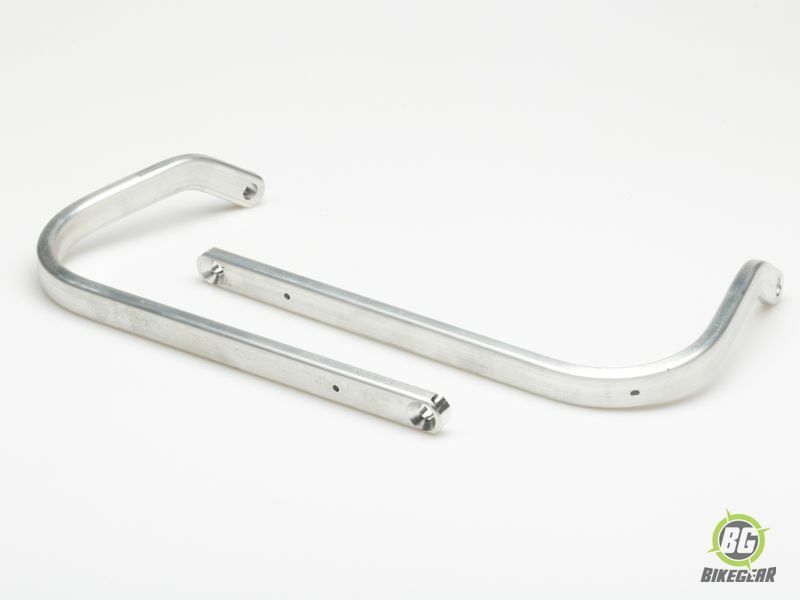 The curved heavy duty aluminium bar design allows a quick lateral hand release from the grip in case of an emergency. 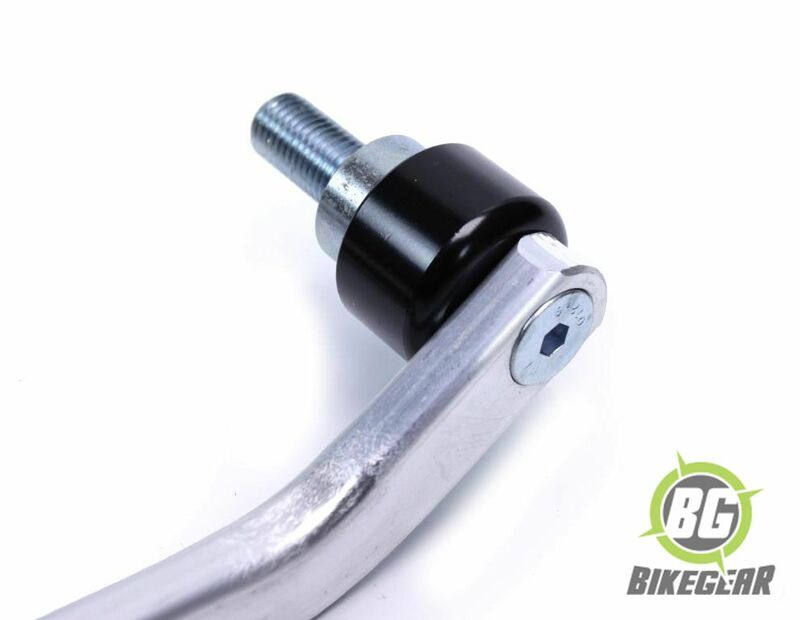 Full wrap aluminium bar protects your hands and levers from the big hits. 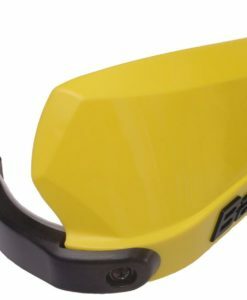 Custom model specific for a perfect fit- not a one size fits all hand gaurd solution. 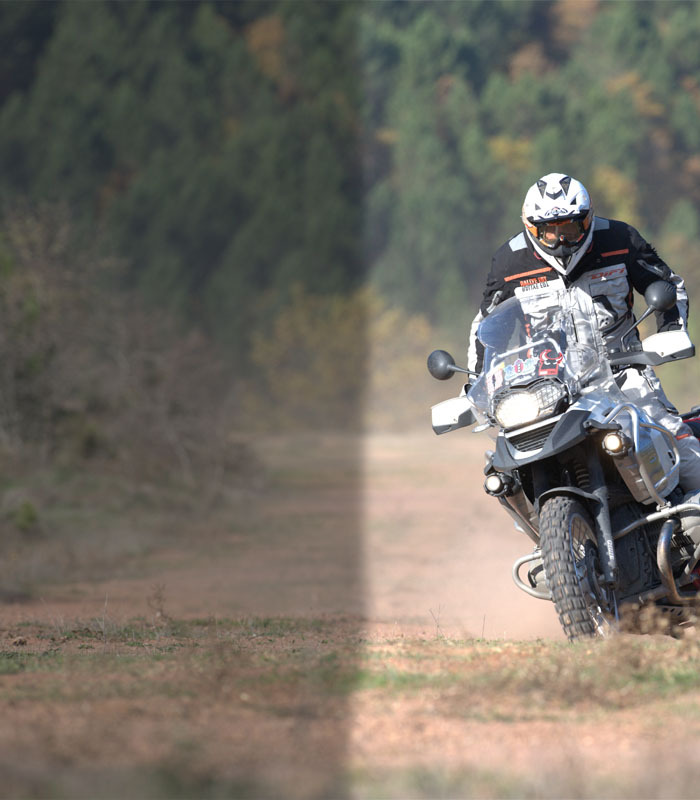 Appropriate for both street, adventure and trail riding. 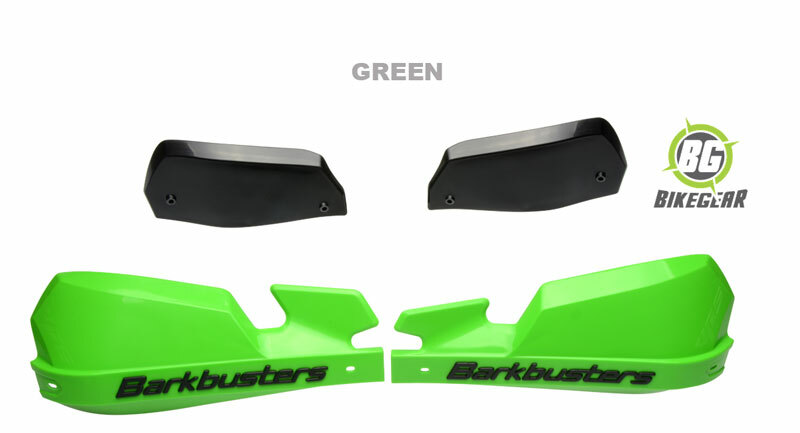 Available in black, blue, green, red, yellow, grey, orange and white covers. 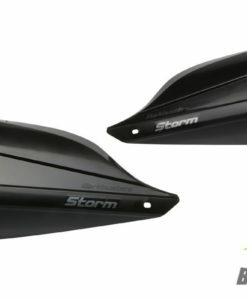 Variable Height Wind Deflector Extensions are included to provide extra wind protection. 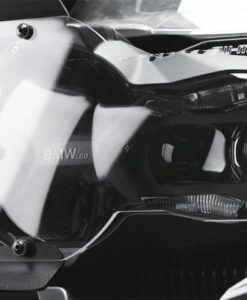 Not all hand guards are made the same. 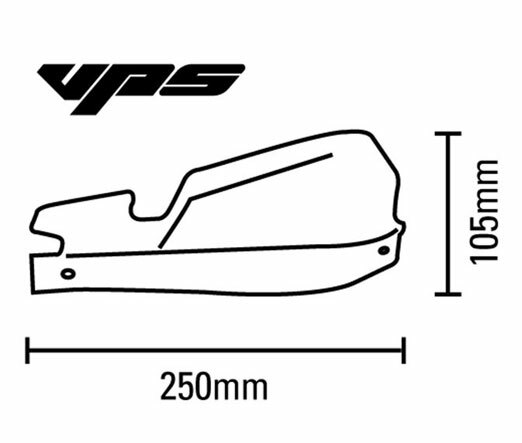 In order to make hand guards fit various models manufactures scallop out fitment points and introduce articulated joints . 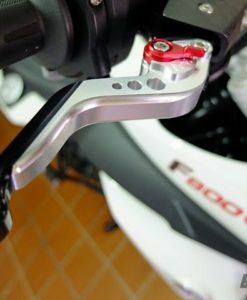 Hand-guards fail at these weakened points. Not so with Barkbusters. 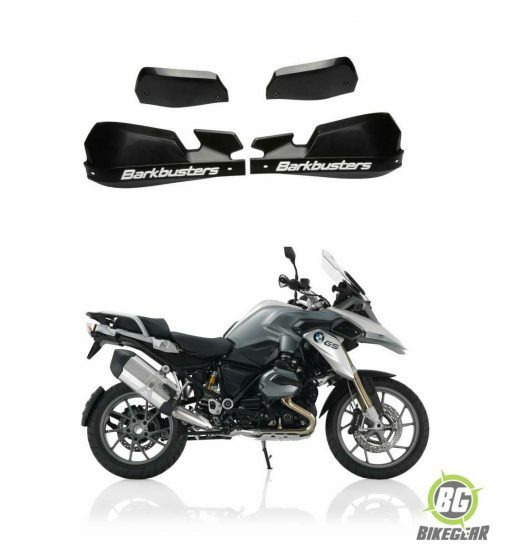 No joins and no scallops as each hand-guard is designed to fit one model only. You can count on Bark-busters when you need it most! 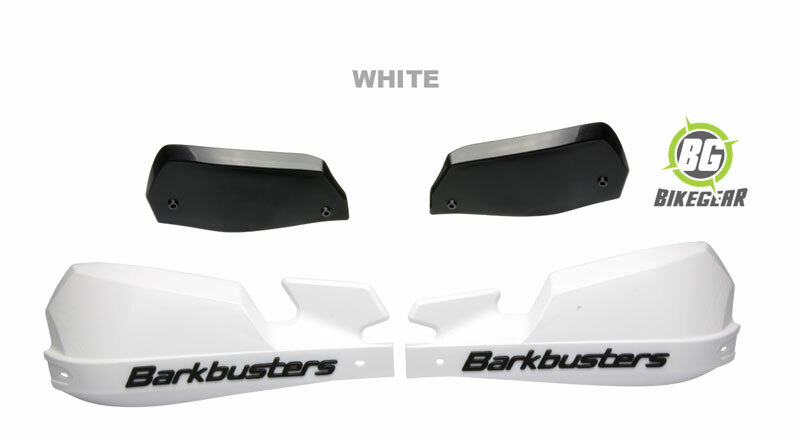 Bark-busters hand-guards were first manufactured in 1984 and now have over 28 years of motorcycle industry experience and riding enthusiasm. 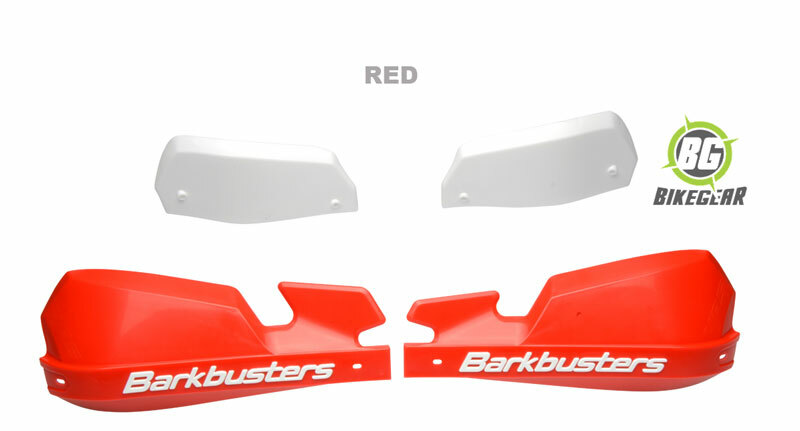 That history means Bark-busters has what it takes to produce the finest hand-guards available on the market today. 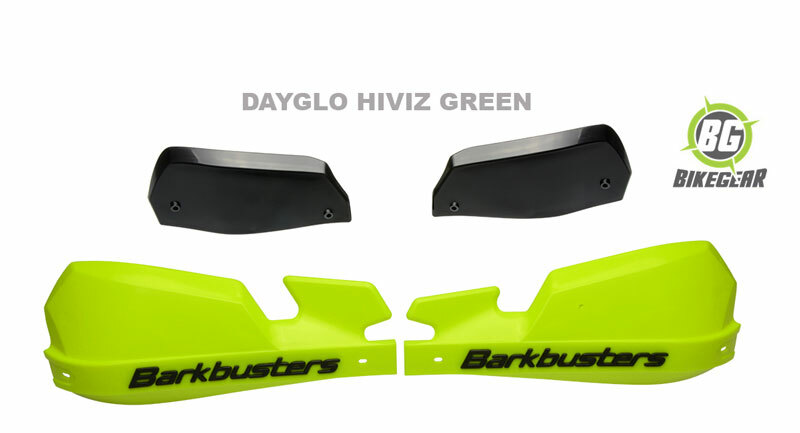 Bark-busters integrates a hardened aluminium backbone with a stylish, replaceable plastic guard to create a truly functional hand-guard. No more broken levers or knuckles! 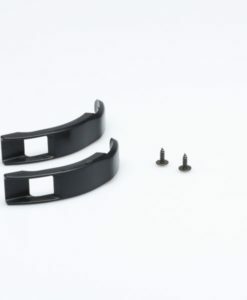 In the unlikely event that you break a part of the hand-guard, every piece is replaceable. 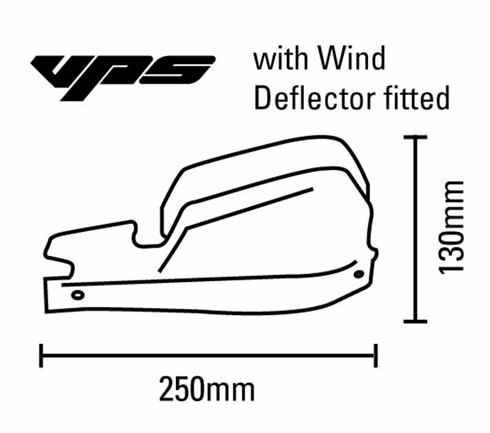 Need more wind protection? All VPS Hand-guards are compatible with the Barkbusters Storm plastics, giving you maximum protection from the elements and a reinforced backbone. 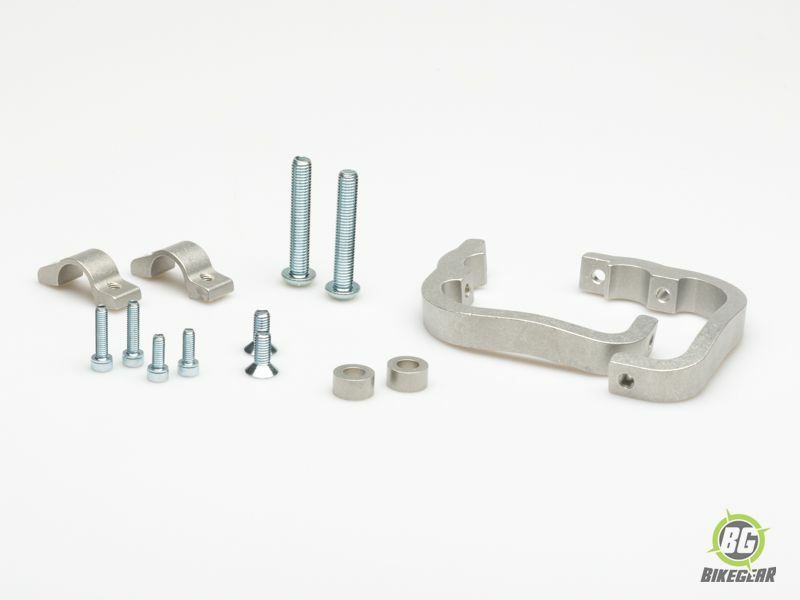 A range of spares and optional extras can also be found here. 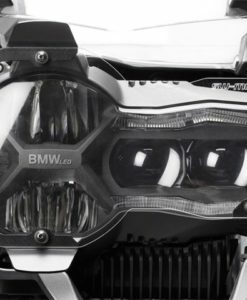 SW-MOTECH Headlight Guard  offers protection with transparent rigid ploy carbonate shield. 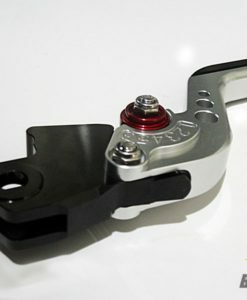 Short Finger Levers enhance the appearance and functionality of your bikes controls. 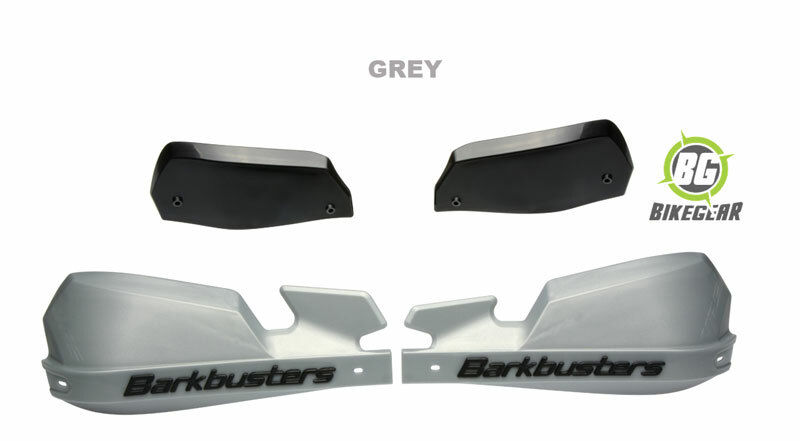 BARK-BUSTERS Skid Plate protects the aluminum backbone of your Bark-buster hand guards. 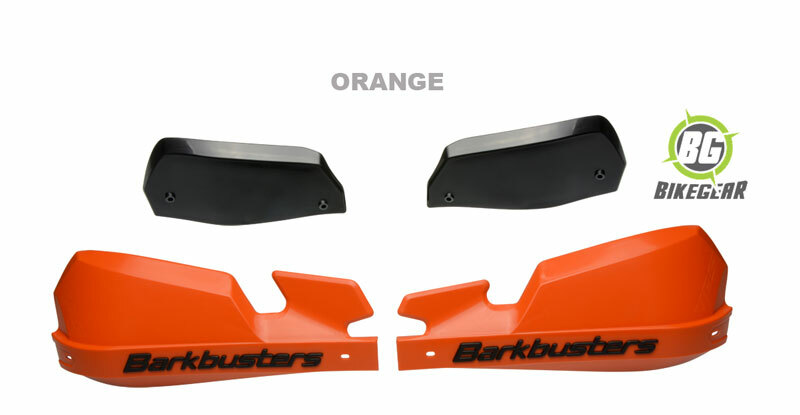 Storm Barkbusters, Barkbuster’s largest handguard plastic.